Fell asleep in the Hope of the coming Kingdom of God on the Earth, due to natural causes, in Arlington, Virginia, on Wednesday, April 3, 2019. 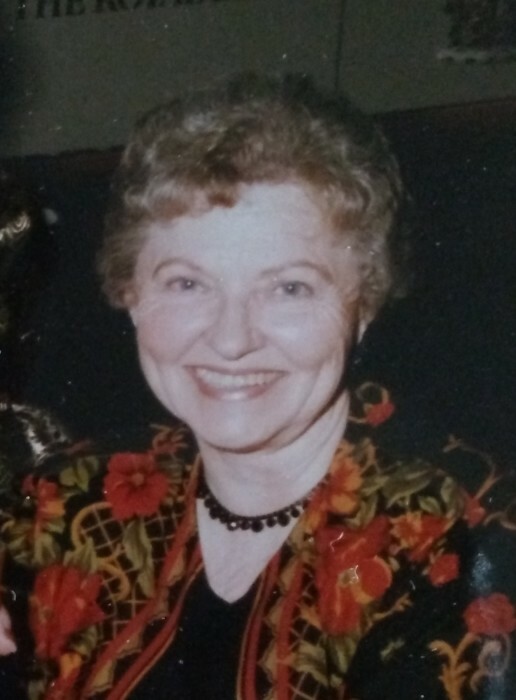 Elouise is survived by her husband of 73 years, Jack Colby and her children, Charles (Robin), Thomas (Leslie), James and Melissa (Michael Kemp); eight grandchildren, Kristina (Ken Woodland), Elizabeth (Johnnie Abel), Matthew (Carmel), Luke (Laura), Hannah (Joshua Hodge), Erin (Loren Larson), Jordan (Nicole Grace) and Zachariah (Rebecca); ten great grandchildren, Zoe, Colby, Lydia, Kate, Liam, Rhys, Lois, Anna, Jack and Jude. She is preceded in death by her brother Donald Moylan, her mother and father, Madella (Rees) and Urban Moylan, and her ninth grandchild, Brian Colby. Elouise was born on February 23, 1924 in Toledo, Ohio, and spent some years in rural Potter County, Pennsylvania with her Aunt Myrtle and Uncle Harry Rennells. She attended Washington and Lee High School in Arlington, Virginia and has resided at her present address since 1950. She and Jack enjoyed returning to her beloved Pennsylvania mountains along with the family throughout her life. She was always enthralled with the fall foliage colors. Elouise was a beautiful and caring person who found great joy in her family and the Truth she found with the Christadelphians. She had a deep love of music and voice, which she pursued throughout her life and loved playing the organ. In lieu of flowers the family requests donations be made to the Alzheimer’s Society or the Christadelphian Bible Mission of the Americas.